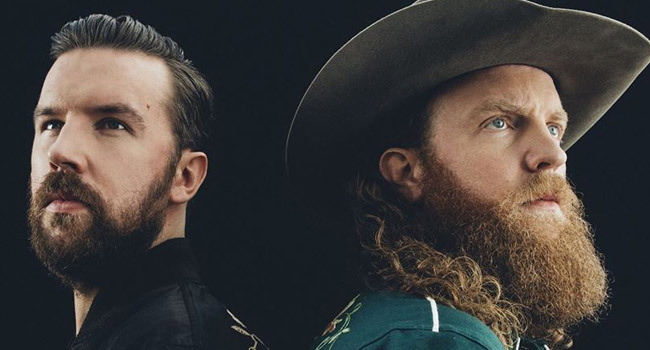 One month away from the release of their new album, titled Port Saint Joe, Brothers Osborne, the three time Grammy nominated duo and two-time CMA “Vocal Duo of the Year,” is set to perform in the same small town that inspired their album name. The Gulf County Tourist Development Council has partnered with The St. Joe Company and D.R. Horton’s Northern Gulf Coast Division to bring Brothers Osborne to Port St. Joe, Florida in a concert that will also feature Kendell Marvel as an opening act. On April 7th, Brothers Osborne, will perform an outdoor concert in front of a quaint crowd of 500 in the picturesque WindMark Beach community, located in Port St. Joe. “We know our proud local residents will come out in appreciation to the duo for naming their album Port Saint Joe, but we also look forward to welcoming many out of town guests to visit the town that inspired Brothers Osborne,” states Kristy Grove, Marketing Director for Gulf County TDC. The duo just released their new single “Shoot Me Straight” which was produced by Jay Joyce (Eric Church, Little Big Town). John and TJ Osborne co-wrote every track on Port Saint Joe along with frequent collaborators Lee Thomas Miller, Kendell Marvel, Barry Dean, Shane McAnally, Troy Verges and others. The title, Port Saint Joe, reflects the small town on the Northwest Florida coast where the real-life siblings recorded the album. Kendell Marvel, an award-winning songwriter, having written hits for Chris Stapleton, George Strait, Jamey Johnson and Jake Owen, made his solo debut with Lowdown & Lonesome, a concept album that blends his musical down home country and rock and roll roots. Marvel will join Brothers Osborne on May 7th as they head overseas to continue their tour. The concert will take place in the WindMark Beach community. Gates will open at 3 pm Eastern time and music will begin at 4 pm on the lawn. Tickets will be available for purchase online only beginning on March 12th at 10 am ET and are very limited. Shuttles will bring ticketed guests to the concert area in WindMark Beach where attendees will be able to purchase food and beverage and enjoy the beach breeze while listening to Brothers Osborne.